At a glance and with one click! Tap the talents of innovative and flexible LED lighting technology that will help you complete tailored solutions for offices, schools, academies and universities. Use our systems to boost the productivity of your operation and reduce your operating costs and energy consumption at the same time. 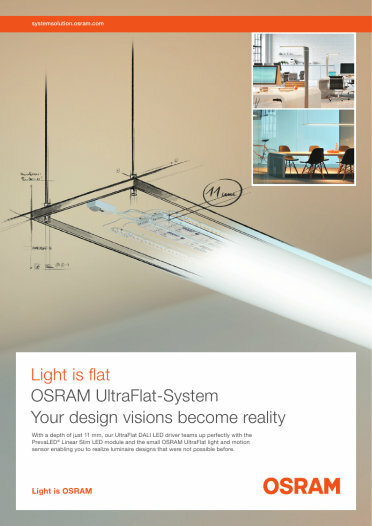 An ultra flat DALI LED driver combined with the perfect fitting light and motion sensor perfectly coordinated with it and the extra small LED module PrevaLED® Linear Slim: The innovative OSRAM UltraFlat-System will enable you to create unique, design-oriented luminaires with an effective installation depth of just 11 mm. 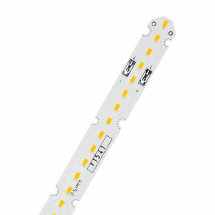 Miniaturization with uncompromising light quality and high levels of flexibility. OT FIT LT2 S and PrevaLED Coin 50 perfectly fulfill the design needs for compact track-mounted spotlights and downlights. Ideal for all applications in which a pleasant lighting atmosphere, continuous dimming and exceptional color rendering are desired. The PrevaLED Flat AC Master/Slave System makes it possible to create very flat designs for diffuser luminaires with large and standard diameters. The motion sensor is integrated into the master light engine and helps to save energy. It facilitates precise light management including an emergency lighting. As a result, corridors and stairs can be lighted with aesthetically pleasing and intelligent luminaires to an equal degree. Creative luminaire design with a system! 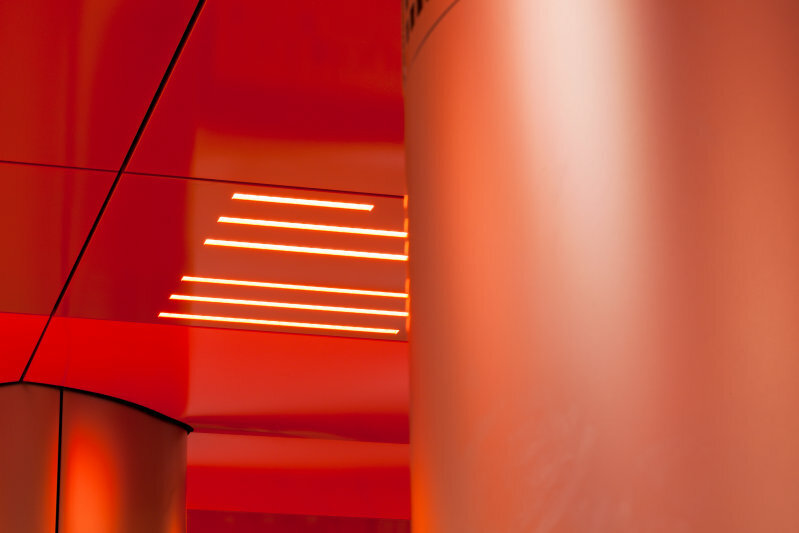 From LED drivers and LED modules to light management systems: OSRAM provides you with complete LED system solutions for every luminaire and every application area – all from a single source. As a result, you can do such things as create unique, design-oriented luminaires for modern office settings or educational facilities. Thanks to our reliable, easily integrated and user friendly hardware and software, you can successfully turn your LED projects and visions into reality. When necessary, we will also develop customized solutions for and with you. Experience a new era in creative luminaire design! With a depth of just 11 mm, our UltraFlat DALI LED driver brings a new dimension to our wide range of OPTOTRONIC® drivers: flatness. 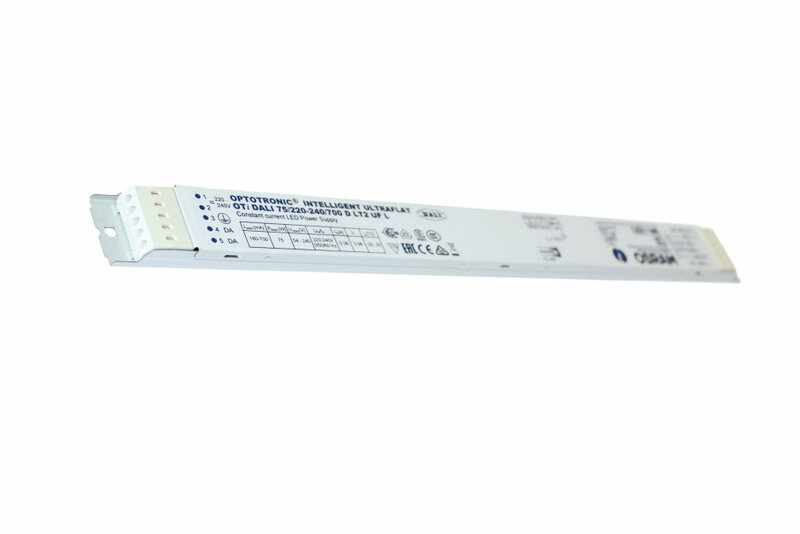 Teaming up with the PrevaLED® Linear Slim LED module and the small light and motion sensor, the UltraFlat driver enables you to realize designs that were not possible before. Slim luminaire designs can be achieved without compromising on high performance and functionality. Discover our multifaceted LED system portfolio to meet your unique requirements. You will get the latest news here – subscribe to the newsletter now.